Let us see if there is any scriptural reason that this is true. Whoso kills any person, the murderer shall be put את eth-to death by the mouth of witnesses: but one witness shall not testify against any person to cause him to die. He (Mosheh) added a splendid rule when he ordained a single person’s testimony to be inadmissible. First, because it is possible for a single person to see wrongly or hear wrongly or understand wrongly or be deceived. Secondly, because it is most unjust to make use of a single witness against more than one or even against one; against more than one because they are more worthy of victory than one, against one because the witness has no preponderance in respect of number, but the equal is compatible with advantage. For why should one agree with the witness who details a case against somebody else rather than with the accused who speaks about himself? It is best, it would seem, to suspend judgment when neither side lacks or excels in anything. A single witness should not be trusted but three or at least two, whose testimony their past lives shall prove true. But if a false witness has been believed, let him be convicted and suffer what he against whom testimony was borne was about to suffer. One witness says, He (the husband) is dead, and she (the wife) marries, and another comes and says, He is not dead, in this case she need not be put away; one witness says, He is dead, and two say, He is not dead, even if she married (before the second testimony) she must be put away. Two say, He is dead, and one witness says, He is not dead, even if she did not remarry (before the second testimony), she may marry. Then YAHUSHA spoke again to them, saying: I am the light of the world: he that follows me shall not walk in darkness, but shall have the light of life. 13 The Parashiym therefore said to him: You bear record of yourself; your record is not true. 14 YAHUSHA answered and said to them: Though I bear record of myself, yet my record is true: for I know whence I came, and where I go; but you cannot tell whence I come, and where I go. 15 You judge after the flesh; I judge no man. 16 And yet if I judge, my judgment is true: for I am not alone, but I and the Father that sent me. 17 It is also written in the statutes, describing that the testimony of two men is true. 18 I am one that bears witness of myself, and the Father that sent me bears witness of me. Let it therefore be well understood that the Parashiym (Pharisees) do not hold the witness of one to be a true record – such a record is not true. Howbeit, then, that the Jewish rabbis are those who would determine if a Jew is Jewish? As a matter of Jewish law, this should be rejected as an untrue record. Only by the testimony of two objective parties should we be able to make a determination as to who is Jewish and who isn’t. For instance, one person who claims to be Jewish asserts his DNA, and then requires a similar DNA for another to be considered Jewish. But is that verified by the testimony of two non-Jewish witnesses? The answer in the modern world is: no, it isn’t. Until such a time as objective protocols are established which can actually ascertain a particular Jewish DNA pedigree with peer-reviewed, and verifiable conclusions through scientific experimentation and replication of results, the claim of a Jewish heritage is insufficient as a matter of international law to warrant acceptance into the Avrahamic covenant. For if you bear record of yourself; your record is not true. Netanyahu insists that the Adamah Qodesh should only be inhabited by Jews. But, that begs the question, doesn’t it: what is a Jew? We have several possible answers to this question. One answer is of course, those who practice Judaism. But there again, that begs yet another question: what form of Judaism? There is of course, modern Orthodox, Chasidism, Haredi, Yemenite, Karaite, Masorti, Humanistic, Classical Reform, Neolog, Jewish Renewal, Jewish Scientific, Beta Israel, Heterodox Messianic, and Reconstructivist Judaism. All of these are correct/incorrect (you chose) forms of Judaism. Which practice qualifies? Do the practitioners of Judaism have a birthright to the Adamah Qodesh by means of their practice? The answer is categorically no. First, let us consider the origins of Judaism. Contrary to the claims of those practicing Judaism, Judaism is not (with the exception of Karaite Judaism) Torah-centric; rather, Judaism begins with the creation of the Talmud, a documentation which greatly adds to the Torah of YAH – in violation of the express commands of the Torah, and which is anathema to the kingdom of David, the kingdom of the heirs of David, and the Kingdom of MASHIACH who denounced this practice. את eth What thing soever I command you, guard to do it: you shall not add thereto, nor diminish from it. Initially, Judaism’s origins can be traced to the Yerushalmi Talmud, also called the Palestinian Talmud or the Talmud Eretz Yisrael (Talmud of the Land of Israel). We note that historically, the name Palestinian Talmud, has been abandoned, because of course, it demonstrates an historical basis for the name Palestina, or Palestine. This Talmud is shorter than the Bavli, and is considered less authoritative than the Babylonian Talmud (the origin of which is circa 380 A.D.), which is the controlling dogma of modern Judaism. The word Talmud itself is often defined as “instruction” and in Judaism, exceeds the instruction of the Torah. The Yerushalmi Talmud comprises of two parts, the Mishnah, which was finalized by Judah the Prince around the year 200 A.D., and either the Babylonian or the Yerushalmi Gemara. The Yerushalmi Gemara is primarily written in Palestinian Aramaic. This “instruction” is explicitly rejected by MASHIACH in Mattithyahu (Matthew) 23, among other places in the Besor’oth (Gospels). Modern Judaism forms around the instruction of the Amalekite Rabbi Akiva, his disciple Yochai, (first and second century A.D.) and the redevelopment or restatement of the Yerushalmi Talmud in Babylon by the Masorites in the fourth century A.D. It is redefined and further developed by the works of Maimonides (RamBam) and the Rabbi Shem Tov, later in the midst of the second millennium A.D.
How do the practitioners of a Babylonian theology created in the fourth century A.D. obtain a birthright to the Adamah Qodesh? Do they obtain this right because they call themselves Yahudiy? Weren’t they, and aren’t they, the descendants of those who did not return from Babylon to the Adamah Qodesh during the time of Ezra? What legal claim do the Yahudiym have to the land? We hear repeatedly that the Jews are the chosen people. However, this is simply not true, because it is the seed of Yashar’el who are called the firstborn of YAHUAH. And I have chosen the seed of Ya`aqov from amongst all that I have seen, and have written him down as my firstborn son, and have sanctified him to myself forever and ever; and I will teach them the Shabbath, that they may guard the Shabbath thereon from all work. Was Yahudah the only seed of Ya’aqov? No, there were 12 sons, and the twin sons of Yoceph, the eleventh son, succeeded to his birthright. Did Yahudah receive the birthright to the land given to Avraham? Let’s see. So, we see here that the covenant given to Avraham, became an oath to Yitscha`aq, which became a law to Ya`aqov, and an everlasting covenant to Yashar’el. 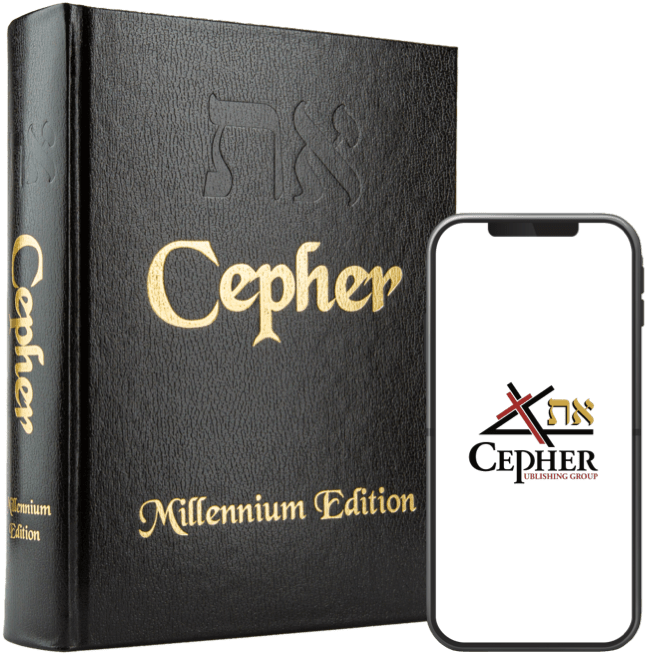 The self-proclaimed Yahudiym think this covenant belongs exclusively to them; and they also lay exclusive claim to the Hebrew language, the name of YAHUAH, and the blessing; yet scripturally, the birthright did not pass to the Yahudiym. NOW the sons of Re’uven the firstborn of Yashar’el, (for he was the firstborn; but, forasmuch as he defiled his father's bed, his birthright was given to the sons of Yoceph the son of Yashar’el: and the genealogy is not to be reckoned after the birthright. If a practitioner of Babylonian Judaism has no lawful claim to the Adamah Qodesh by means of his or her adherence to those reforms and traditions, does a person who can link their DNA to the last citizens of Yahud have a lawful claim to the land? There is a blind claim that if you are Jewish by race – a claim which cannot be established as a matter of science and law by anyone claiming to be Jewish by race, because such a testimony is false according to the record of the Parashiym – that such person has a lawful right to the land which lies between the Yardan (Jordan) river and the Mediterranean Sea in respect of the land grants given by Joshua (spelled in the Ivriyt Yahusha). Let’s examine this claim. First, the tribe of Yahudah (Judah) had no claim at all over Jerusalem, because this land was assigned to Binyamiym (Benjamin). Yahudah was given the land surrounding Chevron (Hebron and to the coasts of Gaza), where there was a record of the purchase of the cave by Avraham. To claim Jerusalem, and the lands of the other 12 tribes, the Yahudiym then have to broaden their tent to claim that the word Jew meant all twelve tribes; but this claim is false, because only those members of those tribes who ascribe to the Babylonian theology will be considered as Jews by the Jews, notwithstanding any mountain of proof which might be supplied to establish an inheritance in one of the other tribes of Yashar’el. So, the modern Jews claim a land grant which belongs to the other tribes, based on a birthright which by inheritance belongs to Ephrayim and Menashsheh, and not to Yahudah, based upon that land which was seized by acts of violence under the tenure of David, expanded by Shalomah (Solomon), divided by the hand of YAH into two kingdoms, the northern kingdom of which was overtly divorced by YAHUAH (Yirmeyahu [Jeremiah] 3) in 722 B.C. and the southern kingdom whose line of kings was terminated in the life of Yekonyahu, and whose kingdom was brought to utter desolation in 135 A.D. when the citizens were permanently expelled from the Adamah Qodesh. Following the division of the kingdom as a result of Shalomah’s apostasy, the line of kings in the Davidic kingdom became interrupted. This ended the practice of naming the citizens of this kingdom with the suffix yahu, and began the process of Babylonianization (yes, the word has been coined here). However, there was a legal reality created prior to the expulsion which is recorded under the Besorah Yahuchanon which remains true to this day. THEN Pilate therefore took YAHUSHA, and scourged him. 2 And the soldiers platted a crown of thorns, and put it on his head, and they put on him a purple robe, 3 And said: Hail, King of the Yahudiym! and they smote him with their hands. 4 Pilate therefore went forth again, and said to them: Behold, I bring him forth to you, that you may know that I find no fault in him. 5 Then YAHUSHA came forth, wearing the crown of thorns, and the purple robe. And Pilate said to them: Behold the Man! When Pilate therefore heard that saying: he brought YAHUSHA forth, and sat down in the judgment seat in a place that is called the Pavement, but in the Ivriyt, Gabbatha. 14 And it was the preparation of the Pecach, and about the sixth hour: and he said to the Yahudiym: Behold your King! 15 But they cried out: Away with him, away with him, crucify him. Pilate said to them: Shall I crucify your King? The chief priests answered: We have no king but Qeycar. 16 Then delivered he him therefore to them to be crucified. And they took YAHUSHA, and led him away. 17 And he bearing his cross went forth into a place called the place of a skull, which is called in the Ivriyt Gugoleth: 18 Where they crucified him, and two other with him, on either side one, and YAHUSHA in the midst. 19 And Pilate wrote a title, and put it on the cross. And the writing was, YAHUSHA THE NETSERIY AND KING OF THE YAHUDIYM. So, two things occurred here as a matter of law. One, YAHUSHA was enthroned as the King of the Yahudiym – his rightful inheritance, and one entirely possible because he is the seed of the woman, and not of the fallen DNA of Menashsheh (yes, his blood is divine, and not the blood of a human sacrifice) - as a matter of Roman law by oral decree, presentment and written decree in the three languages of the Empire controlling in the land of Yahud: Latin, Greek, and Hebrew. The second thing that happened is that the citizens of Yahud, under the authority of their religious leaders, including the high priests of the Sanhedrin, the Sadducees and Pharisees, proclaimed that they had no king but Caesar. They said it, and in 31 A.D., YAHUAH and his RUACH left the building the Yahudiym called the Temple, and in 70 A.D. every single stone of it was removed. Since that day, it has not been rebuilt, and for those of you who excel at math, that was one thousand, nine hundred forty-seven years ago. So, let’s be perfectly succinct. At the point this declaration was made, all citizenship in an independent nation or kingdom of Yahud was terminated voluntarily by those who had clamored to follow the Palestinian Talmud claiming the era of the Torah was dead, and they voluntarily and by their own declaration came under the authority of Rome, where they remain today. If you have no king but Caesar, to whom do you bring your petition to repopulate the land of the Avrahamic covenant over which YAH has established the throne of David? As a matter of law, you cannot reclaim citizenship in Yahud, when you voluntarily acquiesced to Rome. You cannot claim a birthright to the Adamah Qodesh, because that was given to Ephrayim and Menashsheh. You cannot claim a right by inheritance to the land grants given to the other 12 tribes. Your legal rights to the land were terminated out of your own mouths – a statement by the way, which is affirmed every day by those of your allegiance who pay homage to Rome at the foundation of its dominion over Jerusalem expressed in the stones of the Fortress Antonia known as the Western Wall. Therefore, we can conclude that until we have two independent witnesses as to the heritage of every person, which can link to substantiated DNA from ancient specimens of the various tribes, no claim to Jewish lineage by DNA should be accepted as legally binding upon any nation as a matter of law. Further, we can conclude that membership in the religion of Judaism in any of its forms, remains under the control of the Roman Caesars and their lawful successors-in-interest, namely, the Popes in their respective succession, and therefore and right of return may only be legally understood as a privilege of return which can be granted or denied at any time only by the Pope, the successor of the Caesars. Further, even if a person can substantiate their hereditary lineage as a member of the tribe of Yahudah, Binyamiyn, or Leviy, such person would have no legal claim to anything more than the original land grant given by Yahusha (Joshua), and even that land grant would be subservient to the ultimate ownership of Ephrayim and Menashsheh, who by the authority of the scripture, hold the birthright. We note for purposes of this article, that those who claim political authority over the nation of Israel have intentionally given Gaza – a portion of the land grant given to Yahudah, - and the West Bank area called Judea (to include Hebron and Bethlehem) to the Palestinian authority, again denying a right of return even to the true Yahudiym to their true homeland. You might recall Jews being expelled from Gaza under Ariel Sharon, having their houses torn down and being offered nothing in return. This is the lawful condition of one who calls himself a Yahudiy in respect of the Adamah Qodesh (Holy Land) as set forth in scripture. In short, there is no scriptural authority for the proposition that those who call themselves Jews have a lawful right to the Adamah Qodesh. They don’t, and Zionism – particularly of the sort proclaimed by Netanyahu – should be completely rejected as a matter of international law. For Gaza shall be forsaken, and Ashqelon a desolation: they shall drive out Ashdod at the noon day, and Eqron shall be rooted up. 5 Woe to the inhabitants of the sea coast, the nation of the Kerethiym! the Word of YAHUAH is against you; O Kena`an, the land of the Pelishtiym, I will even destroy you, that there shall be no inhabitant. 6 And the sea coast shall be dwellings and cottages for shepherds, and folds for flocks. 7 And the coast shall be for the remnant of the house of Yahudah; they shall feed thereupon: in the houses of Ashqelon shall they lie down in the evening: for YAHUAH ELOHAYHEM shall visit them, and turn away their captivity. This has been fulfilled in your sight. In that day will I make את eth-the governors of Yahudah like a hearth of fire among the wood, and like a torch of fire in a sheaf; and they shall devour את eth-all the people round about, on the right hand and on the left: and Yerushalayim shall be inhabited again in her own place, even in Yerushalayim. 7 YAHUAH also shall save את eth-the tents of Yahudah first, that the glory of the house of David and the glory of the inhabitants of Yerushalayim do not magnify themselves against Yahudah. 8 In that day shall YAHUAH defend the inhabitants of Yerushalayim; and he that is feeble among them at that day shall be as David; and the house of David shall be as ELOHIYM, as the angel of YAHUAH before them. This too has been fulfilled in your sight. Now midrash among yourselves what should be considered scripture and what should be denied, so that the stripes which are covered in the dark may be seen in the light.